This "pure" fishing show is designed to be an "event" where attendees can spend a long weekend enjoying and learning about your favorite pastime versus the normal one or two hour "walk through" shows that many are used to attending. 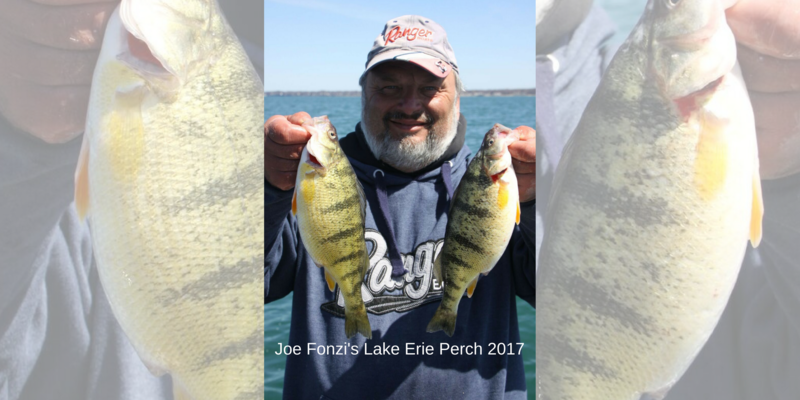 Now in our 6th year, the show continues to grow toward becoming one of the best "fishing" shows in all of the Great Lakes. With over 170 fishing exhibitor booths and over 3,000 hours of "fishing" education provided to attendees at our January 2018 show, we are the largest freshwater "fishing" show in New York State and among the largest fishing shows anywhere in the Great Lakes. The Show Facility - the Conference and Event Center Niagara Falls - provides a unique blend of a spacious Exhibitor Event Center, multiple additional side rooms and a multitude of conference/seminar rooms all utilizing "State of the Art" technology. The core of the show is built around providing sportfishing education to all attendees. The core belief of our show is that education is the most important thing we can do to continue to grow the sport of fishing. We believe that by providing a significant amount of education, we will recruit new anglers including the next generation to the sport as well as the knowledge for existing anglers to increase their enjoyment for the time they spend on the water by being more successful. We take great pride in offering a multi-species fishing show with many well-known fishing manufacturers, local and regional fishing retailers, local fishing guides and outfitters, family-friendly fishing trips, discounted tackle, the best local fishing boat dealers, kayak fishing watercraft, marine electronics, local fishing clubs and much more. 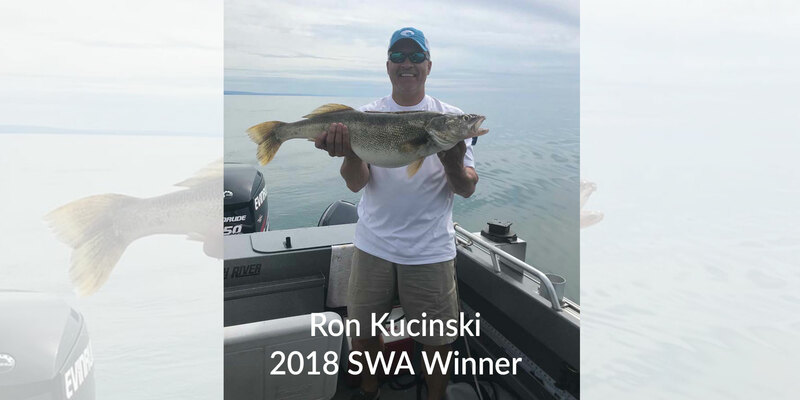 The show highlights the rich waters of Western New York which offers up to anglers one of the most productive and diversified year round freshwater fisheries on the planet! Many of the top fishing manufacturers are choosing to attend the Expo to show off their latest products' talk one-on-one with the anglers in attendance and provide their experts to deliver some of the seminars. 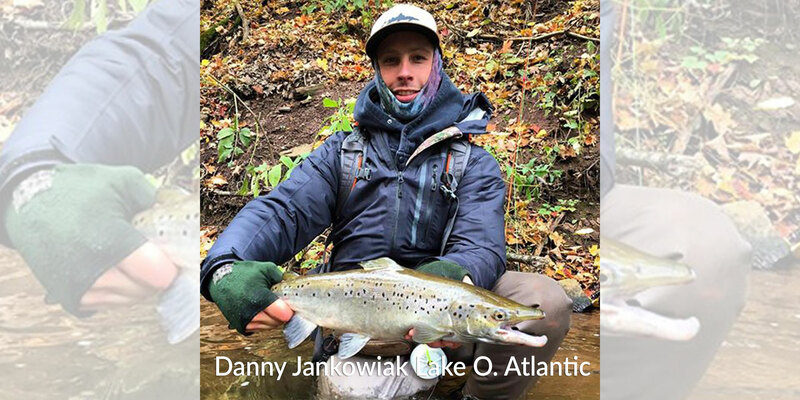 They cover all aspects of "cold" (salmon and trout) and "warm" (walleye, bass and perch) water fisheries along with ice fishing - which are of interest to our targeted attendees. The quality and quantity of our seminars and speakers is what differentiates our show from the others. Most anglers target multiple different species through a variety of methods over the course of the year. Education offerings are targeted at novice, casual and diehard fishermen and women by some of the best in the business who call the nearby lakes, rivers and streams their home. 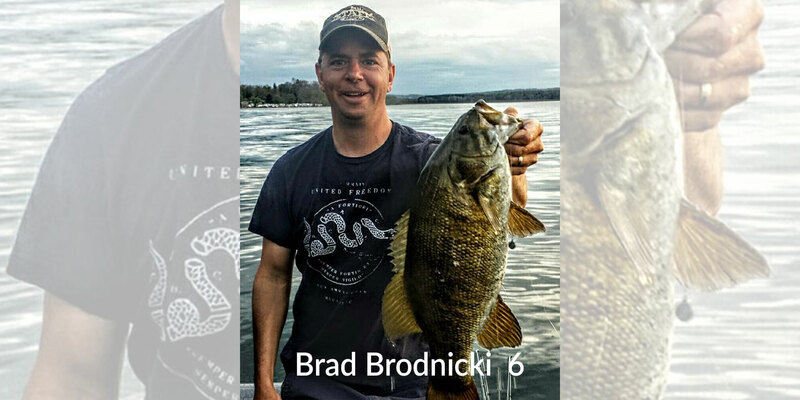 From bass and walleye to salmon and trout; from perch to piers, stream casters to trolling nuts; from fly fishing to ice fishing - there is a little bit if everything for every type of angler and level of expertise. In addition to the Academy, the show also has a number of more intense Clinics for those experienced Anglers looking for more of a "Deep Dive" into a subject area. These will be taught by Experts in the particular area, and are free but some may require a ticket to attend to manage attendance. More details coming soon. 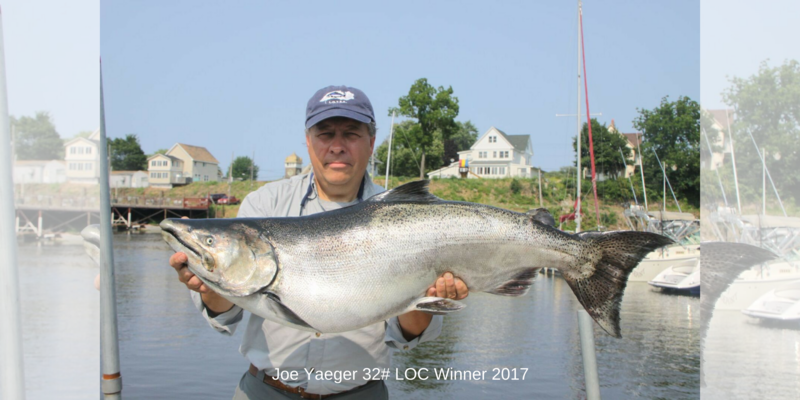 For those experienced Anglers looking for a day long "Deep Dive" into open water Lake Ontario Salmon Fishing the show the show hosts the Lake Ontario Trout and Salmon Association (LOTSA) Salmon School. This annual school is only offered one a year. 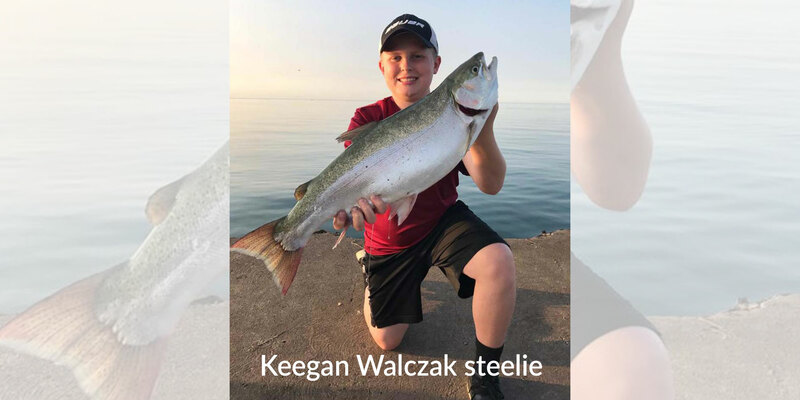 It is among the best Salmon schools offered anywhere in the Great lakes as evidenced by the fact that it has sold out every year since it began in 2007. Click here for more details and to sign up. If you love to fish, you will love this show. It has everything for the fisherman and then some. Whether you are just getting into it or you are more experienced and looking to upgrade rods, reels, marine electronics, tackle, boat and motor, kayak, book a charter/guide fishing trip, join a local fishing club, learn to clean and cook your catch or just be around a lot of fishermen who have the same passion for fishing that you do, this show is for you. With plenty of parking and reasonably priced admission and food/lodging available at off-season rates in Niagara Falls, this is a "can't miss" event to attend. In support of our effort to introduce future generations of anglers to the sport of fishing, all children age 12 and under who attend the Expo with a paying adult will receive free admission (limit two children per paying adult). On Saturday and Sunday, we have put together a robust Kids fishing curriculum taught be expert instructors to teach the kids and their parents the skills they need to enjoy the fishing experience. 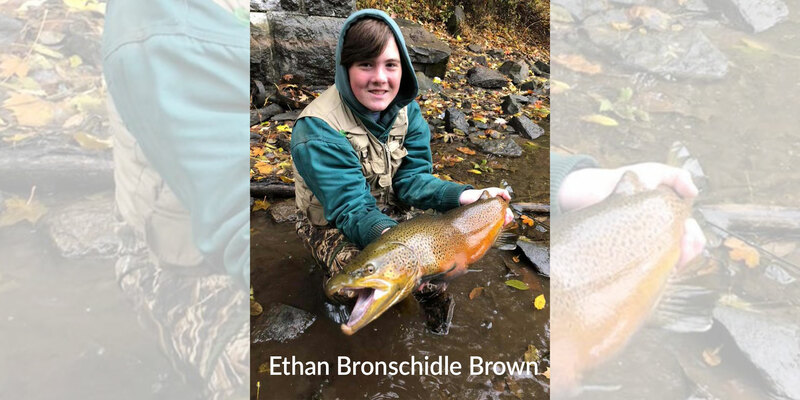 This year we have also added education sessions targeted specifically for our High School and College attendees, who are currently the largest growth area for fishing, and are looking for additional education that will help them improve their catches. The curriculum consists of a combination of classroom and hands on sessions throughout the show. Win a Lifetime Fishing License! 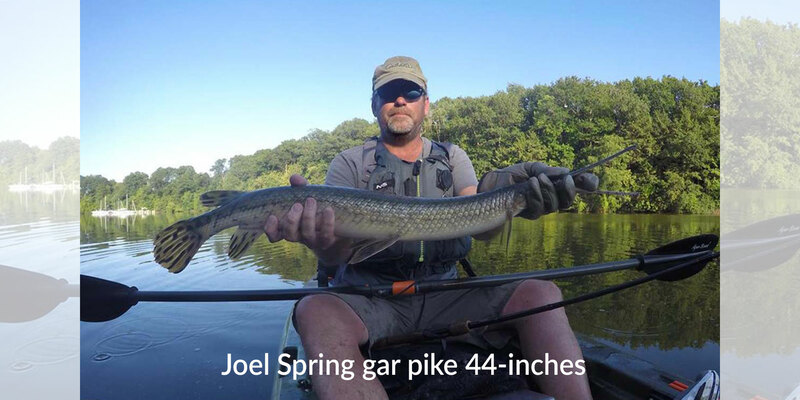 New York State has a long angling heritage when it comes to sportfishing. 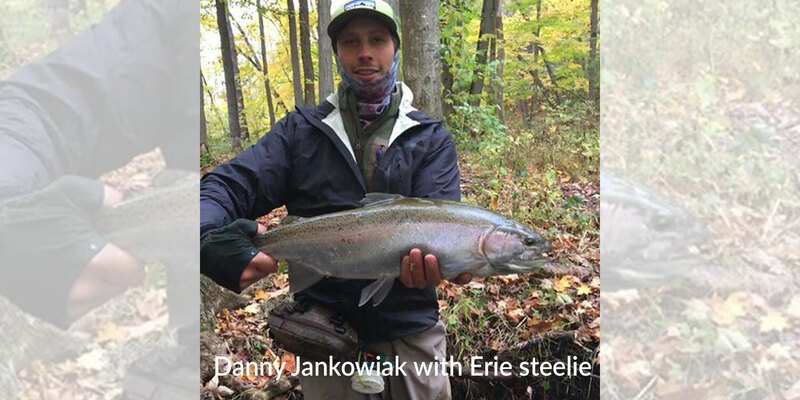 Its angling resources abound, especially right here in Western New York. 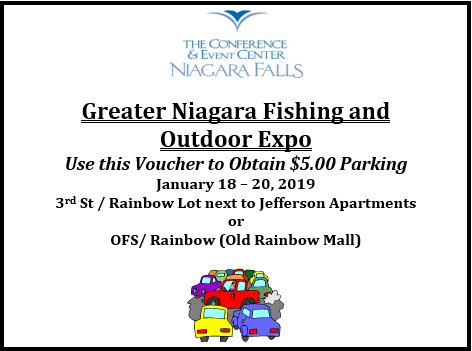 In an effort to help pass this outdoor opportunity on to the next generation, the Greater Niagara Fishing and Outdoor Expo will be having a drawing at the end of the show that will give every youngster 16 years of age an younger the chance to win a lifetime fishing license! This only applies to kids who are New York State residents, but the best thing about a lifetime license is that it even applies if the holder moves out of the state later in life. The number of licenses given away will be determined at the end of the show. Simply fill out an entry form when you arrive and then keep your fingers crossed. It will also be a great time to take advantage of youth fishing education abailable throughout the show. Good luck! Coming from the I-190 take the Robert Moses exit to downtown Niagara Falls City Center. Take a left at the second signal & you are on Rainbow Blvd. You'll see the casino on your right as you come down. Make a right on Third Street and about 100 yards on your left you'll see a surface lot. Pull in there for free parking. If that lot is full you can proceed to the light, turn left on Old Falls Street, travel to First Street, turn right and enter Parking Ramp at NCCC Culinary. An Outdoors Paradise and more! 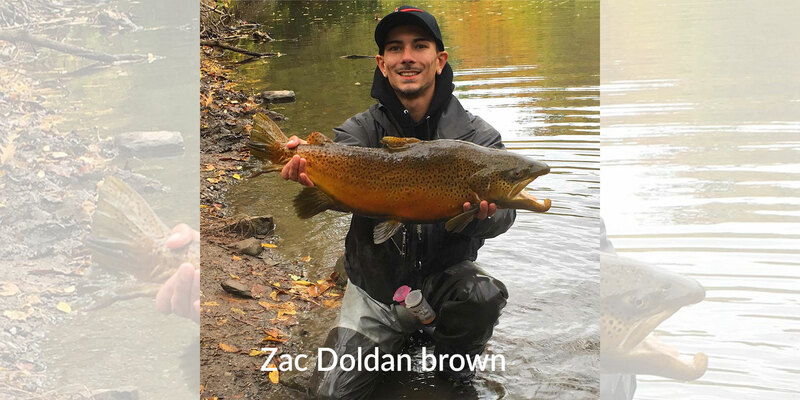 The Greater Niagara Region is home to one of the most diverse and spectacular freshwater sport fisheries on the planet. 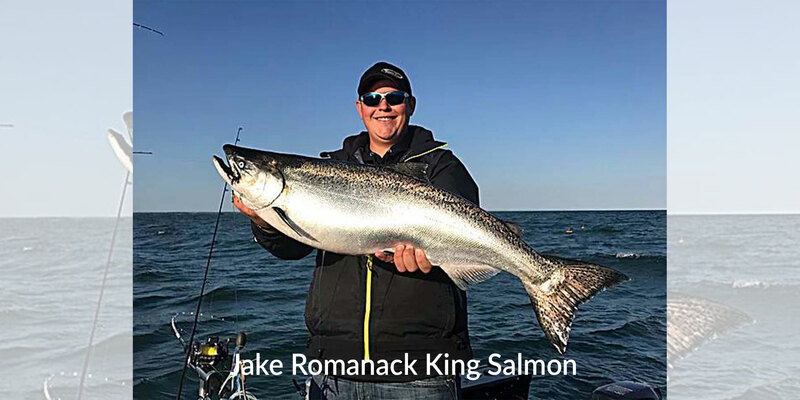 The Niagara River, Lake Ontario and Lake Erie are all within casting distance for salmon, trout, bass, walleye, muskellunge and so much more. You can fish for many of these species year-round. But the area is much more than that - from the natural wonder of Niagara Falls to a long list of natural, historical and adventure- related attractions - even in the winter! Niagara USA is an excellent area for birding, recognized internationally as an Important Bird Area in the Niagara River Corridor. Because the Niagara River never freezes, a wide variety of water birds will winter over to take advantage of these waters as a food resource. Gulls, terns, ducks, herons, raptors and geese abound. A Niagara River Greenway is currently being developed from Buffalo to Youngstown. Add in biking, hiking, boating and all the paddle sports to satisfy your outdoor needs, too. Hunting is an interesting option as well. Niagara Falls is an attraction that can be seen year-round, but winter is definitely off-peak when the Expo is being held. This is a perfect time to take advantage of the downtown area by attending the Expo. Quality hotels surrounding the Conference and Event Center are nearby (including several new ones). New restaurants have added to the menu selection such as Tony Roma's, Rainforest Café, Third Street Retreat Eatery and Pub, Power City Eatery and Marino's Subs. The family atmosphere at the Expo and around the area makes it the perfect combination for young and old alike. Winter attractions outside of Niagara Falls proper include the Aquarium of Niagara Falls; the Culinary Institute of Niagara; the Seneca Niagara Resort and Casino; Old Fort Niagara; the New York Power Authority Power Vista (with revamped exhibits that are amazing! ); the Herschell Carrousel Museum, and much, much more. Interested in shopping? Fashion Outlets of Niagara offers up more than 200 designer brand stores just 10 minutes from the mighty Cataracts. From spring to fall, Niagara Falls State Park is still center stage, offering up the historic and spectacular Maid of the Mist, Cave of the Winds and unique viewing perspectives from Goat Island and other areas of the park. Not all of the attractions are open in the winter, but work is underway to make the Cave of the Winds a year-round viewing spectacle. Heading north, more viewing options are available at Whirlpool State Park, Devil's Hole State Park, Artpark State Park, Joseph Davis State Park and Fort Niagara State Park. Moving out from Niagara Falls will take you to other attractions within the region. The Erie Canal Historic Corridor affords outdoor activities like hiking, biking, boating and paddling. In Lockport, Lockport Locks and Canal Tours and the Lockport Caves headline the list of interesting attractions along with the Flight of Five. The Niagara Wine Trail is one of the fastest growing trails of its kind in the country, while tasty culinary delights at farms and restaurants tickle your taste buds throughout Western New York. The best place to be to find out about all of this information? 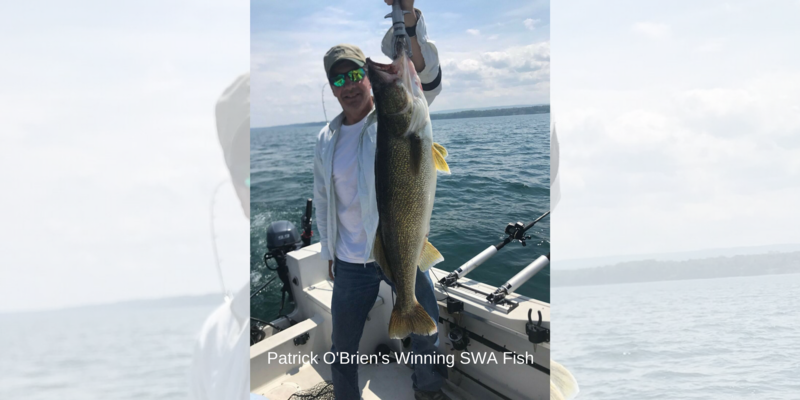 The Greater Niagara Fishing and Outdoor Expo set for Jan. 18-20 2019 of course! Another excellent resource is Destination Niagara USA at www.niagarafallsusa.com. See you there! Great speaker lineup for 2019! Welcome Professional Bass Fishermen to this year's Expo!! The Expo would like to welcome highly successful and well know Professional Bass Fishermen John Murray, Mark Menendez, Billy McDonald and Brad Knight to our show as we really ramp up the bass portion of this amazing show. It's a great opportunity to listen to their fishing wisdom at a seminar or clinic and ask questions. They are being sponsored by Rapid Fishing Solutions so you will be able to meet them one-on-one at the RFS booth. Another huge highlight will be the addition of a 5,000 gallon hawg trough to allow for even more education in the main exhibit hall. The event center will feature vendors from all over the country showcasing this year's and next year's products. DURING THE GREATER NIAGARA FISHING AND OUTDOOR EXPO!!! Get ready for the trip of a lifetime, on the Lower Niagara River, in January 2019!!! The Greater Niagara Fishing and Outdoor Expo is pleased to announce a unique offering for our show this year, a continuation of an education feature that was started in 2017. 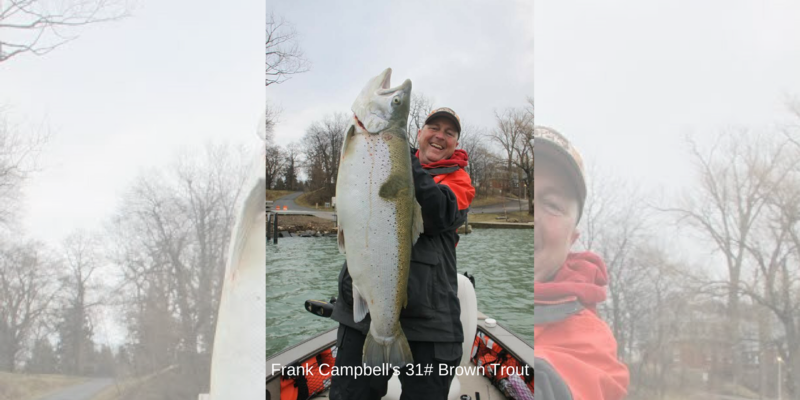 Lower Niagara River Trout fishing trips offered the mornings before, during and after the expo from 8 a.m. to 11 a.m. (Jan. 17-21, 2019). Five exciting days to 'scratch your fishing itch' and take your first boat trip in 2019 while attending the Expo! These trips are being offered at "show special" pricing. It gives you another reason to make the Greater Niagara Fishing & Outdoor Expo the destination to attend January! The lower Niagara River offers a world-class winter boat fishery in a 10-plus mile stretch of fish-rich water. It should be on everyone's bucket list. Sign-up is simple as you can sign up as an individual and there is no need to secure two other people in order to book a trip. Cost is $125 per person for the trip and also includes a 3 day free pass to the Expo. What a unique combination: Listen to some of the Niagara River trout fishing seminars at the Greater Niagara Fishing and Outdoor Expo AND get out there and do it. It's an on-water lesson that can't be beat! This year's feature will all be coordinated through Capt. Frank Campbell and Niagara Region Charter Service. He has already secured several charter boats to take people out each morning. You can sign up for a seat at Niagaracharter.com . Click Here to Win a Fishing Trip! 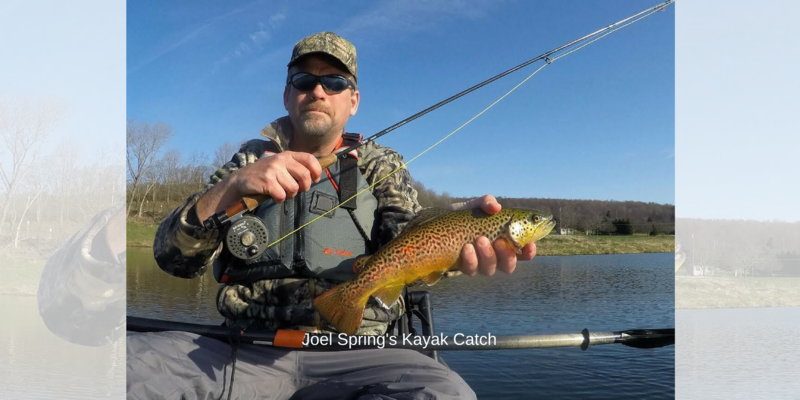 Winter fishing on hard or soft water? Sign up for the NYS Winter Classic! This statewide competition (held Jan. 1 through Feb. 28 each year) is geared towards the weekend angler and offers two full months of tournament action. Anglers can target 7 categories of fish, any time of day, and while open water fishing or through the ice! The event this year features a cash payout based on angler participation (up to 25 places per category) plus over $25,000 in additional sponsored cash & prizes! The awards ceremony will be hosted by the Batavia Downs Casino where all Top-3 anglers will be housed overnight as part of their awards package! The main event will also sport a cash Grand Prize of up to $25,000, plus weekly, monthly, and overall prizes in addition to the cash payout. 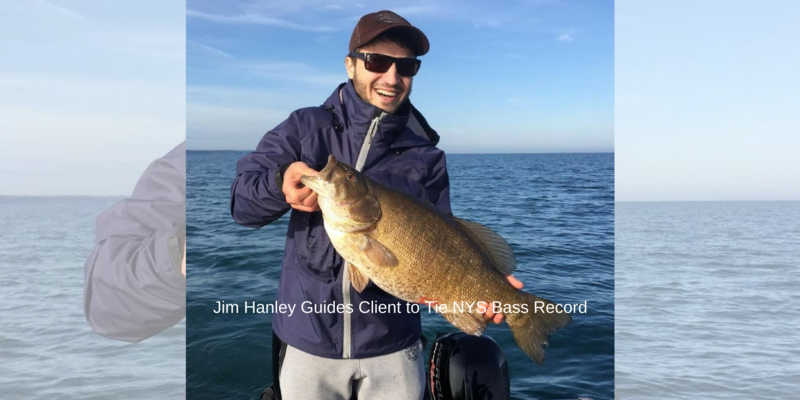 Anglers in the Niagara River area (which produced some of the winning catches in 2017 and 2018) can register and weigh-in fish at Creek Rd. Bait & Tackle in Lewiston. Elsewhere, there are over 60 weigh-in locations where anglers can also register - only $25 per angler. Registration, leader boards, and full tourney info can be found at: www.NYSwinterclassic.com Follow the event on Facebook for all the latest tourney news and weigh-ins. Register today and join in the fun this winter season! Book a Room with the Quality Inn or Days Inn at a special discounted price!